Ron Suber brings more than 20 years of experience in sales, marketing and business development across the hedge fund, broker dealer and registered investment advisor industries to Money360. Throughout his career, Ron has developed and successfully executed diverse strategies for raising debt and equity for fin-tech ventures. Most recently Ron served as President of Prosper Marketplace, the first marketplace lending platform in the U.S. He was responsible for creating and executing the business development strategy to attract borrowers to the site, as well as ensuring a balance between institutional and retail investors on the Prosper platform. He continues to serve as President Emeritus and Senior Advisor to Prosper. Before joining Prosper, Ron was Managing Director at Wells Fargo Securities and Head of Global Sales and Marketing and Senior Partner for Merlin Securities. Ron also served as President of Spectrum Global Fund Administration, and spent 14 years at Bear Stearns where he served as Senior Managing Director and Manager of Global Clearing Sales. 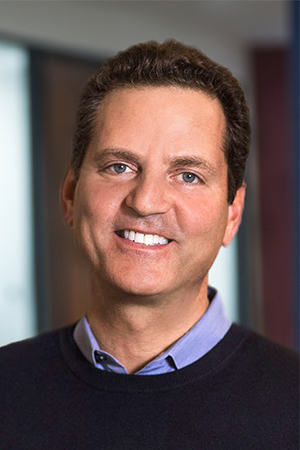 Ron serves as Chairman of the Board of Directors of Credible, and advisory member to Juvo, Yield Street, Docusign, Unison and eOriginal.